The latest in LMP’s Piano Explored lunchtime series, this year with a twist! In their 70th anniversary season, musicians from LMP join Conductor Laureate and soloist Howard Shelley in works that feature multiple soloists. Haydn’s Sinfonia concertante for violin, oboe, cello and bassoon is tuneful and inventive, with the four solo instruments in ever-changing permutations: the wind pair pitted against the strings, the two higher instruments against the two lower, violin and bassoon against oboe and cello, or simply as a quartet of contrasting timbres. The overwhelming sense is that it is wonderful chamber music rather than a succession of flashy solos, with lots of give and take between the soloists and orchestra. ‘Profound, airy, affecting, and original’ wrote the Morning Herald critic at the time. Marieke Blankenstijn, Sebastian Comberti, Gareth Hulse and Sarah Burnett step out of the orchestra for the solo spots in Haydn’s mini masterpiece. Talented composer Johann Hummel was held in high esteem by his teachers Mozart and Haydn, and his friends Beethoven, Chopin and Schubert. This concertino started life as a mandolin concerto, which Hummel himself then arranged for piano in 1816. It shows the influence of Mozart rather than Chopin but also some original Hummelian froth and sparkle. It’s the perfect work to demonstrate Howard Shelley’s virtuosic brilliance. 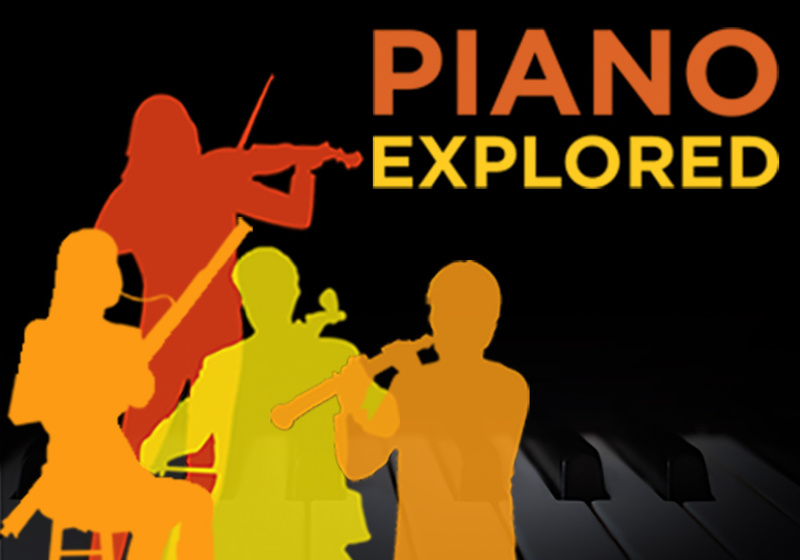 Piano Explored is the perfect lunch break for Londoners, commuters, day-trippers and holiday-makers! In one whistle-stop hour, pianist/conductor Howard Shelley and the London Mozart Players whisk you through an exciting deconstruction of some of classical music’s most celebrated works.